Many girls desire longer, fuller lashes. However, the hassle of lash curling and applying mascara can make it not even worth it. Luckily, there is now a newer trend that enables your natural lashes to have a perfect curl with added definition: lash lifting. At Nichole Lynn Esthetics, I help clients enhance their own natural beauty using the Elleebana Lash Lift treatment. Proven to be effective, this formaldehyde-free technique combines lifting lotion and silicone rods to naturally lift your lashes, making them look longer and fuller. It is a great alternative to eyelash extensions, as it requires very little maintenance and has long-lasting results. If you’re wondering why you should choose lash lifting over some other lash enhancing treatments, read on as we discuss a few of the many benefits of eyelash lifting services. Lash lifting treatments work on your natural eyelash. Using a combination of silicon rods and high-grade solutions, a lash lift technician can lift and lengthen the natural eyelash into a desired style. Some people struggle with lashes that are downward facing, making them appear short and stubby. 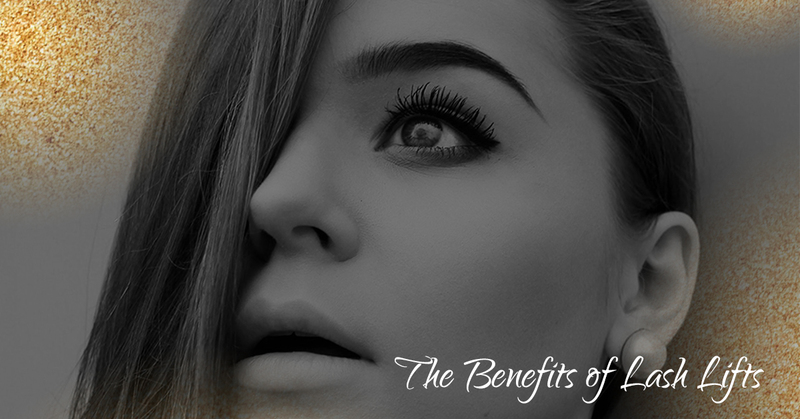 Lash lift treatments aid in making your lashes appear longer and even fuller! What’s more, eyelash lifting is designed for almost every lash length and thickness, so you can still get amazing results with shorter lashes. Lash lifting is a super quick treatment and requires low maintenance. With minimal aftercare and only needing to visit your favorite beauty salon every 6-12 weeks, it really is the perfect treatment. If you are interested in adding depth and volume to your lashes, schedule a lash lift appointment at Nichole Lynn Esthetics. As a certified lash lift technician, I can help you achieve the lashes you desire.